Trent Alexander-Arnold has revealed the man behind his Liverpool Breakthrough. Arnold was impressive for Liverpool last season and his form earns him a call up to the England Squad for the 2018 World Cup. Arnold has now revealed James Milner has the man behind his breakthrough and how he has helped him to become a better player. 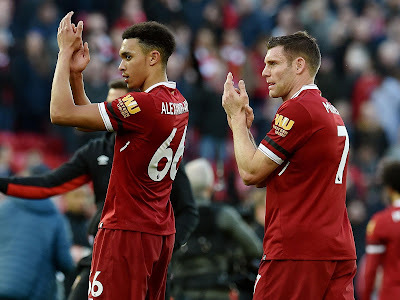 In an interview with Press Association Sport, Alexander-Arnold revealed all Milner as done for him and what he always told him before any big game.